Enhancing productivity as a small business owner may be on your mind, but the challenges and potential concerns are keeping you from action. Whether you’re starting a small business or hoping to grow an existing one, there are a few hacks that you can employ to get moving in a productive direction. Here are the top five small business productivity hacks that are essential to growth and success. For small business owners who have a few employees, you may want to delegate tasks to free up your productivity. If you want to delegate the task of creating blog content for your business, consider the employee that could potentially be interested, those that have the writing chops. If there’s more than one employee who would love to write for your blog, and they have some time to spare every week, distribute the load among them. You could even turn it into a writing contest. If writing, or another delegated task, isn’t up to par, you will need to delegate other tasks that make sense to their skillset. Look at all the tasks you have on a daily basis, and think how you can delegate them appropriately. You can even look at automation platforms for daily, weekly, and even monthly tasks. For example, who has time to keep up with accounting and payroll? This is a small business owner time eater. Instead of driving yourself crazy each month trying to sift through invoices, employ an outsourced bookkeeping tool like Botkeeper. 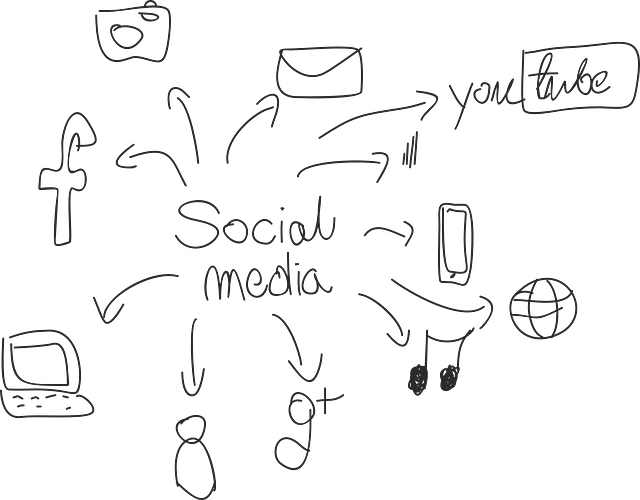 Taking care of your social media account can be a full-time job. Tweets and Facebook posts should be scheduled to keep you posting regularly. One productivity hack that can take your social to the next level is to observe times you see the most engagement from visitors, and capitalize on it. Check times that are not on the hour, like 4:22 instead of 4:30 for example. This can increase your online visibility too. Scheduling everything can seem challenging, but there are online tools that can provide automated scheduling for this kind of work, like Hootsuite and Buffer. This can maximize productivity in a big way. Growing small businesses that are struggling to manage everything should try to consider collaboration and management tools, like Trello or Asana. You’ll get project management, and integrated file sharing, from any device, including mobile for when you are on the go. If your small business has tasks that require a skilled expert, but you’re not ready to hire either a full-time or part-time employee, try outsourcing to freelancers, contractors, or other professionals who could be good alternatives. If price is a problem, think of how much money you could be making if you concentrated on things you do best while leaving the rest to skilled outsourcers. Spend your day generating revenue and use a fraction of that revenue to pay a designer instead of getting a headache trying to figure out how to make transparent logos or any other non-essential small business owner task. Outsourcing can free up your time, as well as reduce your stress level. And the best part is you are sure that someone more qualified will get the job done. In the long run, it will give you time to concentrate on the areas of your business that you enjoy working on. Running a small business is time consuming and can have a negative impact on your mental and physical health. Don’t let this happen to you. Small business owners usually forget to take care of themselves. Use a smart watch to monitor health factors, like sleep, exercise, heart rate, calories, and more. Give meditation a try! Many of the most successful entrepreneurs and CEOs practice mindfulness meditation to keep them productive. Enlist the help of a mentor to keep you on track and focused. They can also hold you accountable to ensure you are getting some quality “you” time in when needed. Hit the gym. The American Heart Association (AHA) recommends up to 30 minutes of physical activity five days a week for proper health. Don’t let your small business run you, run your business. It is essential to your health and it will surprisingly make you more productive down the road. You may even see a boost in profits with you focusing on the essentials to help your business grow.